I love talking about content creation and creativity. My presentation ‘how to produce better content ideas‘ – from SearchLove Boston – has been viewed over 1.5 million times. 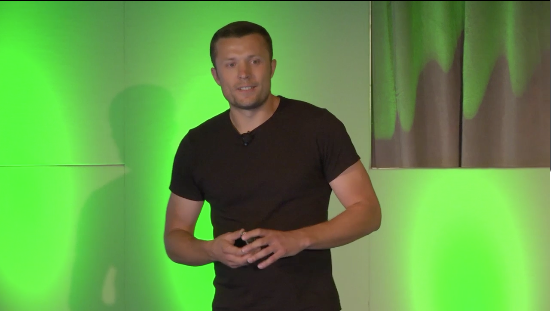 Following the popularity of the talk, I was approached by HubSpot to speak at INBOUND 2015. I also then opened the Content Marketing Show in Brighton and the Turing Festival in Edinburgh. I like to focus on storytelling in my presentations; sharing anecdotes from personal experience, successful case studies, and lessons learned the hard way. More than anything, I like to break the creative process down into concrete actionable advice. Some people think there’s no such thing as a creative process – that ideas ‘just come to you’. I disagree. While I agree there’s an air of mystery to that lightbulb moment, to say ideas ‘just come to you’ is to ignore all the things you did that led up to that point. There are lots of steps you can take to significantly improve your creativity. In fact, you actually do some of them already – just not consciously, and not consistently. But becoming aware of the steps, and doing them consistently can massively improve your results. Having a clear framework for your creative process can really help you and your team produce much better ideas – time and time again.